Many of us grew up learning the stories of the Old Testament. Since we were children, we heard about Abraham’s willingness to sacrifice his son, Moses and the Israelites crossing the Red Sea, Daniel being saved from the lions, and Queen Esther bravely saving her people. Unfortunately, the way we learned to read them, and the way we continue to read them, is probably not best. They are not a hodgepodge of stories to teach us moral lessons about life. I think it’s time we had a better understanding of the Old Testament. Most of us grew up hearing a Bible story, “Here is what happened, kids.” The teacher would show us pictures and describe the story in great detail. Then, after the story, the teacher would ask something like, “So what lesson can we learn from this story, kids?” We would put ourselves into the shoes of the main character and try to figure out the moral of the story. Although there are some important lessons we can learn using this method, this probably isn’t the best way to understand the Old Testament. After all, isn’t it interesting that we don’t try to read any other piece of historical literature this way? We don’t read a biography of Abraham Lincoln – for instance – and ask about everything that happened in his life, “What’s the moral of this part of the story?” That’s not to say there aren’t moral lessons we can learn from events in Lincoln’s life, but that’s just NOT the way you read a historical account. You read a biography of Abraham Lincoln, in order to understand Lincoln better. In order to understand why he did what he did, what motivated him, and what extraordinary events in his life led up to him becoming who he was in the end. What’s the Point of the Old Testament? When reading the Old Testament, we have to keep in mind that it is primarily about God and His people. It’s hardly ever about an individual. We have a tendency to read the stories from the perspective of the “main character,” and fail to realize the main characters are almost always God and Israel. The Old Testament is the story of how God – despite Israel’s unfaithfulness – kept His promises to His people: He turned Israel into a mighty nation, He gave them the Promised Land, and He blessed all nations of mankind through them. 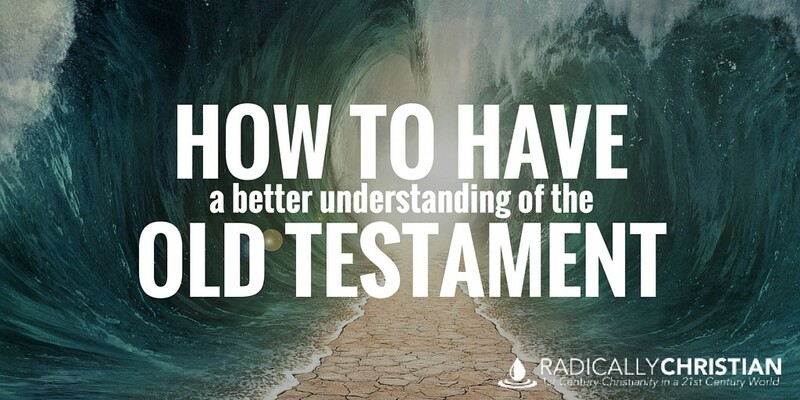 When we read Old Testament stories, like Moses leading the Israelites across the Red Sea, we think the story is about God and Moses, but it’s not. The story is about God and Israel. The same is true when we read about Daniel in the lion’s den or David killing Goliath. All these stories are about God and Israel. Here are some of the types of questions I like to ask when reading the Old Testament. These questions help me to fit the story into the bigger picture of Scripture. 1. Who were the “average” Israelites in the story? Try to put yourself in the shoes of one of the average Israelites crossing the Red Sea or one of the average Israelites who was exiled in Babylon. Ask yourself, what does the story teach us about them? What was God trying to show them? Was He punishing them or protecting them? How were average Israelites feeling at this point in history? How would this story continue to instruct and comfort Israelites for generations to come? 2. What does this story teach the New Israel? 3. Where is Jesus in this story? 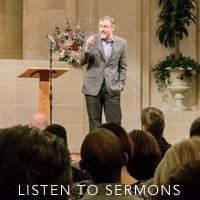 Yes, there are many applications we can make from the lives and stories of individuals in the Old Testament; even the Hebrew writer encourages us to emulate their faith (Hebrews 11). But I believe we would do well to remember that the primary point is almost always about God and His people. If we try not to lose sight of that fact, we’ll likely understand the Old Testament so much better.